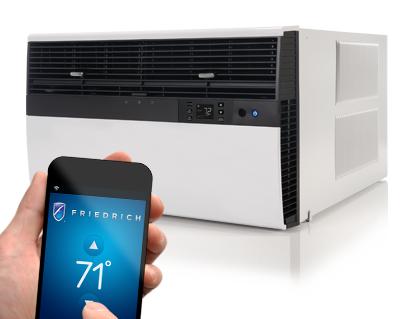 When comparisons are made with appliance stores and other so-called air conditioning specialists, Air-Wave stands out even more, in terms of offering extraordinary value and competitive prices on durable, high-quality products. There have actually been occasions when manufacturers have consulted us about feature innovations, styling, and consumer preferences. Over the 55 years we've been in business, our customers have learned that air conditioning involves much more than simply buying any new unit with a seemingly adequate BTU rating, and, then changing filters once a year. There are a number of important selection, cost, and durability considerations, as well as operating efficiency, health and safety concerns, and liability. Citing just one area, proven measures should be taken to prevent and remove pollution, dirt, and impurities in the unit, at least once a year. Beyond the warm seasons, consumers should be made aware of the advantages of late Fall and Winter storage. Before the start of the warm seasons, there are money-savings and other benefits to be gained by a Spring Checkout. 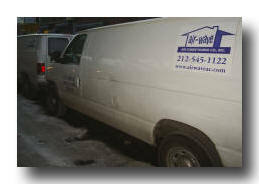 Air-Wave offers full, expert, personal service, and unmatched consumer protection. Air-Wave carries a $10 million liability policy and workers' compensation insurance. Air-Wave offers a five-year unconditional warranty (manufacturers typically offer a limited warranty which only covers the cost of parts needed to repair defects in the sealed refrigerant system). Air-Wave, at its own expense, maintains a state-of-the-art service department and a parts department. The company has well-trained installation crews, and a vehicle fleet -- so you won't be kept waiting for long periods when installation and service calls are needed. All things considered, with Air-Wave the customer gets a company that takes full responsibility for the total picture of your air conditioning needs over the long term. By our way of thinking, you are more than just another faceless customer - which may be why we have customer relationships that are generations long, and why we have an unparalleled reputation.